On the 19th of May 2018 in Toronto, Ontario a great bout took place for the WBC light heavyweight world championship between Adonis “Superman” Stevenson, who in 30 professional bouts has won 29 fights with 24 KO’s, and Badou “The Ripper” Jack, who in 25 professional fights has 22 wins with 13 KO’). The fight was scheduled for 12 rounds and went the distance culminating with a majority draw decision. This left boxing fans questioning the result, but also hoping to see a rematch in the near future between these two great power punchers. The entire building, Air Canada Centre, in Toronto was abuzz and with good reason. It is not everyday that a world title-boxing bout happens in the city made famous by Drake. Not since March 29, 1966, when Muhammad Ali fought George Chuvalo in a 15 rounds classic, which to this day is quoted as one of the most difficult fights of Ali’s career, had the city of Toronto witnessed such a glorious bout. The light heavyweight division has seen some incredible champions, such as Thomas Hearns (1987), Ray Leonard (1988) and most recently the great Roy Jones Jr., and since Badou Jack is the face of Mayweather promotions, it was expected that he would carry-on the legacy and become the light heavyweight division champion. But alas, Stevenson had something to say about that and he managed to keep his title because of the majority draw. 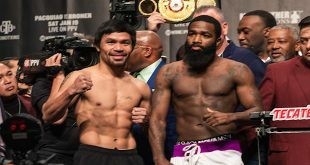 Now, both these fighters carry a tie in their records, which to be honnest feels like a blemish in the resume of these powerful fighters, who’s fights don’t usually go the distance. Before the fight, much was made from the media that Stevenson, who is now 40 years old, has been wearing the crown of the division since 2013 because he ducked quality contenders like Sergei Kovalev, Andre Ward and most recently, Eleider Alvarez. According to the younger fighter from Sweden, Jack, who is 34, there was never a legitimate “Top-notch” contender in the ring against Stevenson since he won the title. 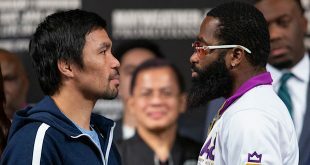 During the press tours, both fighters guaranteed a knockout and that this would be a war in the ring. Badou stated that he had the edge because of his youth and his abilities to counter-punch. Stevenson said his powerful left hand would ultimately push back the youngster and lead to his downfall. In the end, neither fighter was able to impose their will during the bout and while the fighters did give the fans a fantastic show, there was too much holding and not enough willingness to risk in the later rounds from these fighters to get that victory. Another huge element brought to this fight was the presence of Floyd Mayweather Jr., who promoted this bout and his mere presence elevated the status of this event in Canada and I’m sure around the world since it was broadcast through Showtime. After the fight, Mayweather said that he wanted the rematch to happen but he was not sure that it would happen in Canada. The ticket sales were expected to be through the roof at the Air Canada Centre in Toronto but that was not the case. The fight was not a sellout and Badou mentioned his dislike for Canada since he did not get a fair result in Stevenson’s adopted country. According to Stevenson, the only way a rematch would work is if it was held in Canada again. 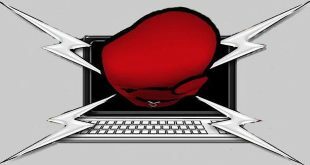 It’s quite unlikely this re-match will occur because Mayweather himself made it clear that Badou would want a rematch, but somewhere else like England or even Sweden, but the hopes of that happening are slim since Stevenson will most likely not be allowed into those countries because of his criminal past and his pending trial date.